Congratulations! You’ve just been hired as the sales manager for ABC Company. Last week, the executive team fired Jack (the prior sales manager) as they were not pleased with the team’s sales results. 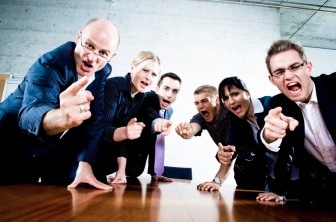 The sales team was completely blind-sided by the firing of their sales manager. They were unaware of the executive team not being satisfied with the team’s performance. Furthermore, they loved Jack! Now, you are stepping into hostile territory as the sales team resents the firing of Jack and thought things were just fine the way they were. The sales team is angry, nervous and confused. What is your plan to establish yourself as the sales leader of this team given the circumstances with Jack and take the steps needed to get the performance the executive team desires?